By Darragh Mowlds | February 28, 2013. 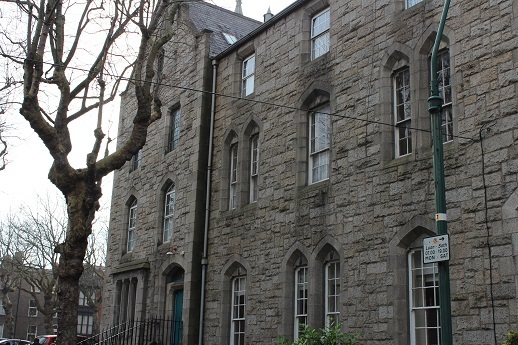 A Kurdish Children’s Language School, which aims to teach Kurdish children their native language, has recently opened in the Lantern Centre on Synge Street. According to the school administrator, Philip Phelan, the school’s aim is to teach the children in the Kurdish community to learn their native language, something he feels is very important, “there is a need over the last 10 years for children to learn their own native tongue”. His wife, Zhyan Sharif, a Kurdish national who has lived in Ireland since 1988 was the one who came up with the idea to set up the school. On top of running the school, Ms Sharif is also the president of the Kurdish-Irish Society which is located in the New Communities Partnership Centre where she works to improve the lives of the small Kurdish community in Ireland. The real driving factor behind setting up the school was the lack of facilities for Kurdish nationals in Ireland. She said that “when you are far from Kurdistan, having your language and culture is so important”. They knew that parents in the community “wanted somewhere to bring their children to learn the language”. At the moment the school is run on a completely voluntary basis, however, they hope to attain a government grant in order to expand the operation into the future. There are roughly 700 Kurdish people living in the Dublin with up to 1,500 Kurdish nationals in total in Ireland. Despite this, this new language centre is the only one of its sort in the country. At the moment there are 25 children between the ages of four and 10 enrolled in the school with a normal class having roughly 15 students. They hope to expand the operations of the school, starting with the introduction of adult learning classes in the next couple of weeks. The class organisers have also confirmed that they will be opening a second Kurdish school in Tallaght in the near future.